Today Beadsaholic is bringing a closer look at the brand Tedora. Today I would like to introduce you to the brand Tedora based out of Italy. I know some of you have most likely heard of this brand and some this will be completely new. So, I’d like to share with you all a closer look at these beautiful beads! Tedora Garland of Flowers is a beautiful textured orb with a floral garland around the middle. This bead makes the perfect focal as its a large bead measuring approximately 17.37 mm high x 14.79 mm wide and weighs six grams. Garland of Flowers retails for €27, price includes vat, which is a fantastic price for this bead. Available here. Tedora Daisies Stoppers are a fantastic design. I have an addiction to stoppers and I’m happy to see that Tedora has a wide variety. My first stoppers from Tedora I really like, I love flowers and use floral designs quite often so I’m sure I’ll get lots of use out of these. They fit basically like Trollbeads stoppers, these are snug but not super tight. The silver is a tad bigger than the stoppers inside, so silver will move around as you move it with your fingers, but they stay in place on both the Tedora and Trollbeads bangles, I have not tried them on other bangles. The Daisies Stopper measures approximately 12.04 mm high x 6.50 mm wide, weighs four grams and retails for €27, price includes vat. Available here. Tedora Multi- Color Glass is a pretty design. I love the use of pinks, purples and grays. It has an opaque base with what looks to be purple/grey foil. This bead is chunky, measures approximately 15.99 mm high x 11.46 mm wide and retails for €27, price includes vat. Available here. Tedora Pearly Blue and Pink is a beautiful reflective glass with swirls of pink, blue and purple. I love the chunkiness of these glass beads. This bead measures approximately 15.90 mm high x 11.59 mm wide and retails for €27, price includes vat. Available here. Tedora Bangles comes in small, medium, large and extra-large. This is a nice flex oval bangle with slide in and lock closure. It took me a few minutes to get the hang of the lock, but it was easy once I figured it out. The bangle itself is rather comfy and doesn’t hang up on clothing. This Bangle retails for €47.50, price includes vat. Available here. I decided just to wear these together as they look so lovely, but find that these beads mix well with other brands as well. Here is a video to give you a look at these beads and how the bangle opens and closes. Over all, I find the quality of Tedora to be great and the price point is rather amazing. It’s well worth it. 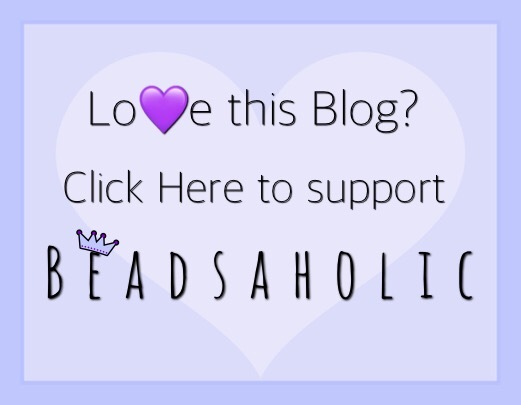 I will definitely be adding to my collection and sharing here on Beadsaholic. 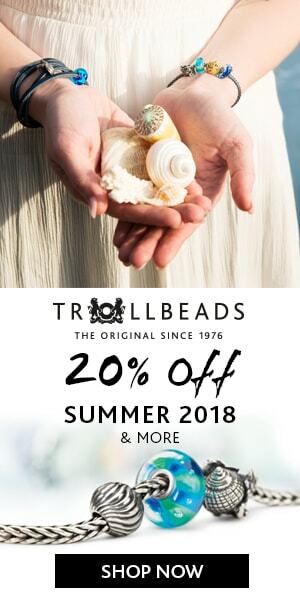 If you would like to browse the Tedora line you may do so at Pianeta Beads through the banner link below. Pianeta Beads offers vat free shopping for those outside of Europe and free shipping for those who reside in Europe. I love tedora glass they are my favorite right now, but I have to put more their silver charms in the collection. I need more 😀 they have some many beautiful beads to choose from. their older glass with silver are the ones I started with. they are also reasonably priced. Thanks for sharing. I agree, they have a great price point. Nice quality too. I love Tedora. Not enough recognition for beautiful beads. Good quality and not priced out of everyone’s budget. Well done Tedora. Totally agree, Sheila, I was quite surprised to see how reasonable the prices were with the quality of beads they make. I’m excited to see more.